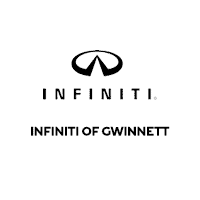 INFINITI of Gwinnett is Atlanta’s premier INFINITI dealership and conveniently located in Duluth just off I-85 and Pleasant Hill Road. INFINITI of Gwinnett has one of the largest inventories of new and certified pre-owned INFINITI vehicles and other luxury pre-owned brands in Atlanta. INFINITI offers a full-line of luxury performance automobiles, including the Q50, Q60, Q70L, QX30, QX50, QX60, QX70, and the QX80. Our experienced sales staff is eager to share its knowledge and enthusiasm with you. We have a strong and committed staff with many years of experience satisfying our customer’s needs. We encourage you to browse our online inventory, schedule a test drive and inquire about financing options. You can also request more information about a vehicle using our online form or by calling.